If you haven't seen WOW Donuts & Drips, you're missing out! This new spot just north of Dallas proper, is the epitome of Insta-worthy; your followers (and tastebuds!) will thank you! WOW Donuts & Drips is the place to go if you want a made-to-order donut work of art or a fresh cup of coffee brewed by the impressive Alpha Dominche Steampunk! 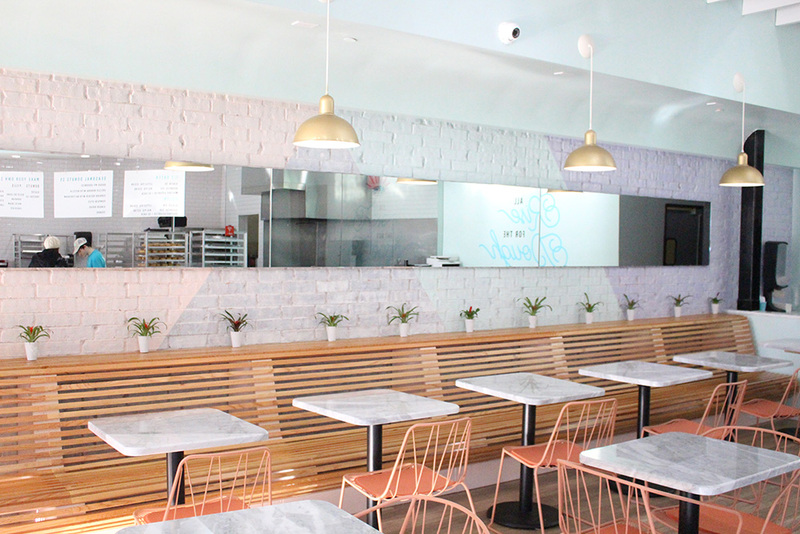 On my first visit to WOW, I sat down with owner, David Sim, and got the low down about the shop and why he and his family wanted to bring this new donut and coffee concept to Plano, Texas. David shared that while most donut shops are grab and go, he wanted WOW to focus on bringing an enjoyable environment that was inviting and unique. From the natural light, modern decor, and charging cables for all of your devices, WOW has thought of everything! Now you can enjoy a late night donut run, too; WOW doesn't close it's doors from Friday - Sunday! #doughallout! 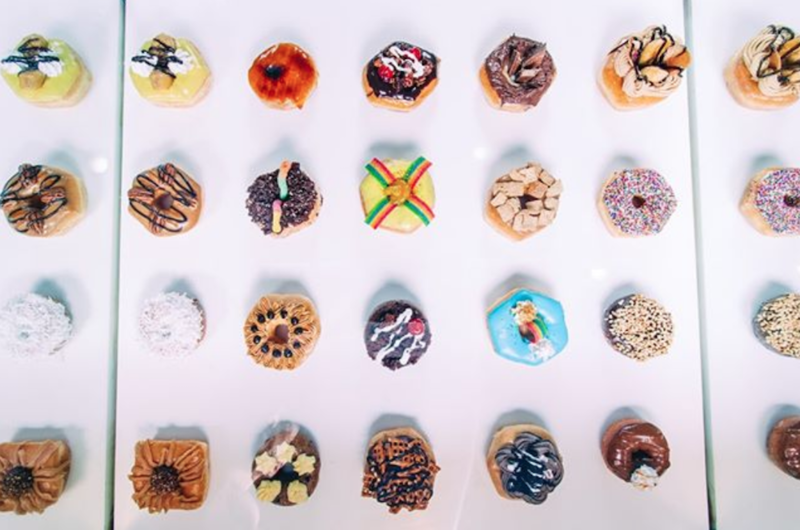 You'll have a hard time choosing just one flavor to try- according to David, the Matcha Matcha and the Biscoff are the top 2 selling donuts, but check out their entire menu to see photos of all of their traditional and creative flavors! I'm partial to the old fashioned and the red velvet cake, myself, but I'll definitely be back soon to try a few more flavors! You can follow @WOWdonutsanddrips on Instagram to see their daily donut inspo, but beware: you'll be driving to Plano to satisfy your sweet tooth, if you're not careful!